Charlotte Broady is a Charge Nurse at Charlton Lane Hospital in Cheltenham. Charlton Lane provides specialist assessment, treatment and care for older people with functional mental health problems and people with dementia. “In my role I spend the majority of my time directly involved in patient care as well as spending time with families. I lead, manage and supervise the work of staff nurses and healthcare assistants and as a charge nurse I always try to lead by example so I promote the highest standards of clinical nursing care. “Each shift begins with a handover where any important information is shared. I act as shift co-ordinator, delegating duties amongst staff and prioritising for the shift ahead. “As part of my role I also have management days where I complete audits, take on new trust projects or initiatives or attend meetings such as the inpatient managers meeting. This gives a snapshot of what is going on elsewhere in the trust. 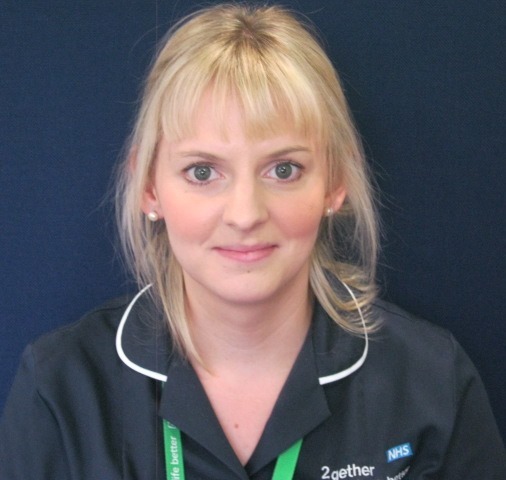 “Another part of my role is to act as clinical lead for the hospital during weekends and nights shifts. I can be that ‘go to’ person to help with any concerns or queries. “The nursing team and the medical team often meet a few times a week as the mental and physical health of patients can change on a daily basis. “The part I most enjoy about my role is spending time with patients, this enables me to contribute and advocate for their care and any treatment they need. Find out more about a career in nursing here – https://www.healthcareers.nhs.uk/explore-roles/nursing.